An up-close and personal encounter with numerous endangered and life-threatening Australian species capped our visit to a wildlife sanctuary west of Sydney. This haven for wild animals – big or small and with feather, scales or furs – is Featherdale, which is located in the suburb of Doonside of the Blacktown council. 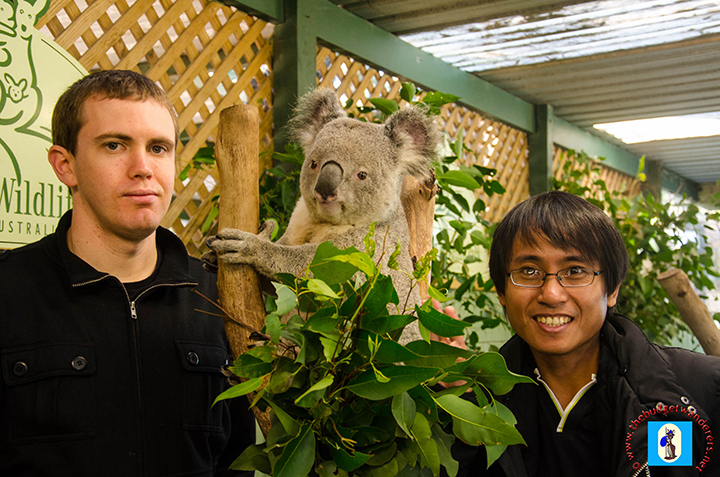 Featherdale, a wildlife park, boasts of a number of Australian species as part of their prized collections. 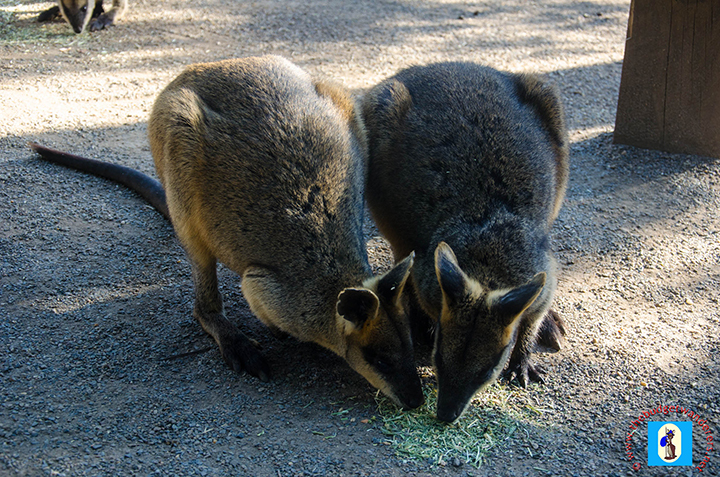 Amongst them were different species of marsupials – kangaroos and wallabies. A number of emus, chickens, and peacocks freely gaze the enclosed sanctuary. One can even have a photo opportunity with these tamed animals provided that they are not threatened. 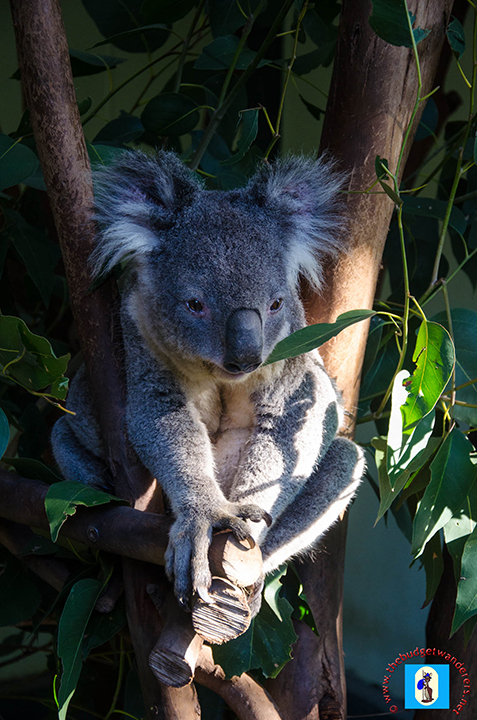 One of Australia’s iconic animals, the Koala. Ducks staring at an ice cream cone inside Featherdale Farmyard. Fluffy sheep striking a pose. Amongst the furry animals, our favourites include the cuddly and soft koalas, as well as the ever-playful sheep and kids that run after you for a cone of hays. Indeed, feeding them makes the visit a more personal one. Birds of various colours and shapes abound in the wildlife park. From an albino kookaburra, one of the rarest birds, to the common colourful parrots, all are amazingly cute and fun to watch. You might even hear one of them greet and say “hello” to you as you pass by their enclosures. Surprisingly, there are a few of them that ‘speaks’ like us! 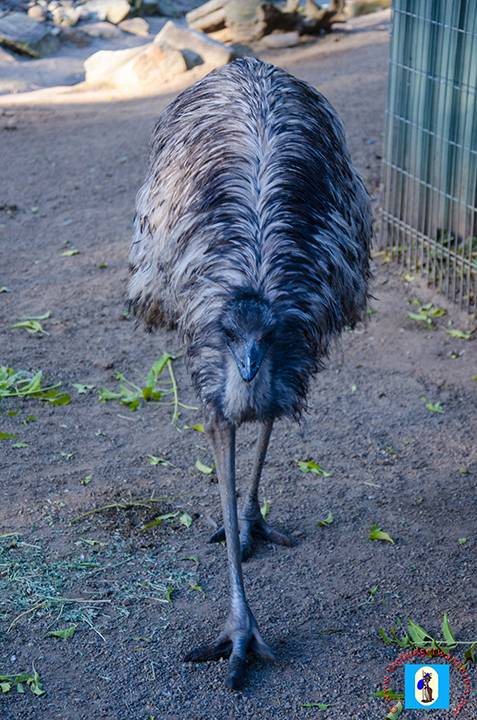 An emu heading towards the camera. Major Mitchell’s Cockatoo, also known as the Pink Cockatoo. One of the avian collections, an eagle. One of the rarest kookaburras – an albino. Snakes and lizards are also amongst their collections. Housed in a dim-lit enclave are these reptiles, both venomous and innocuous ones, which are sleuthing their way on branches provided in their glass-walled enclaves. Other notable species are the frisky Tasmanian Devil roaming in circles around its enclosure, the lazy but cute wombat, and the wild cousins of domestic dogs, the dingos. Most of them are amazing to look at in their man-made habitat and makes you think how wild they are in their natural environment. They might look like your ordinary dogs but they’re dingos. An iguana seen at the reptilian pavilion. A tired wombat having a nap. 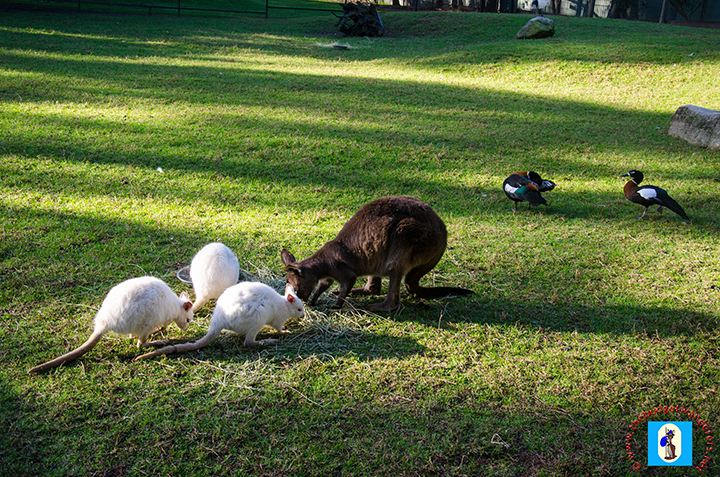 Indeed, Featherdale is a wildlife sanctuary where one can be up-close and personal with these various fauna. It is a great way to commune and be one with them in a highly urbanised jungle of our modern cities. The BudgetWanderers together with a cute koala.